I had been looking forward to Deborah and Barry’s wedding after meeting with them to discuss their flowers back in June last year. They had booked exclusive use of Dunglass Estate in Berwickshire for the weekend of their wedding and we were delighted to be a part of their big day. 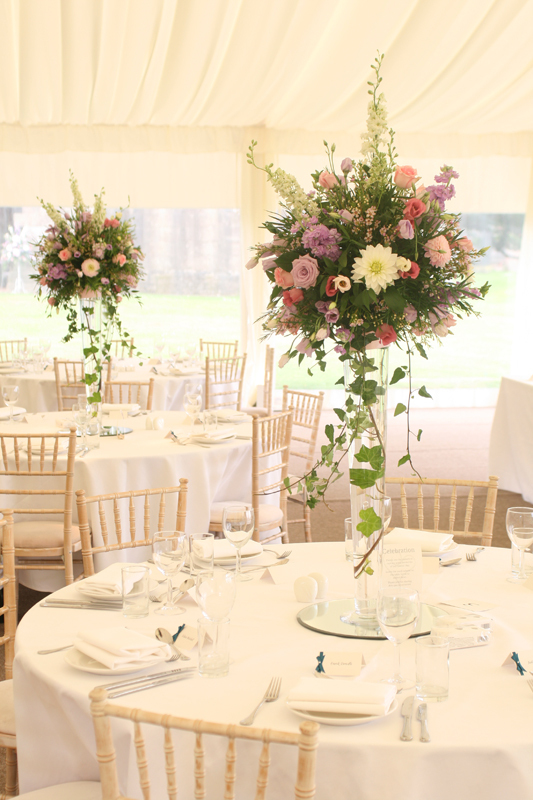 Soft pink, lilac and white was the colour scheme for the flowers and we provided tall loose style table centrepieces and large pedestals as well as all the bouquets, buttonholes and corsages. 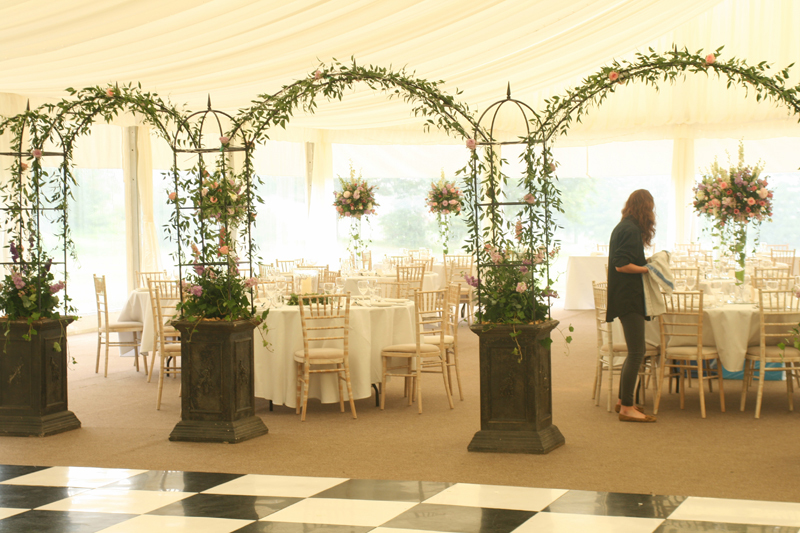 The arches in the marquee were dressed with foliage and flowers. I am looking forward to sharing the professional photos from GWS Photography soon but here are a few photos I managed to take on the day. 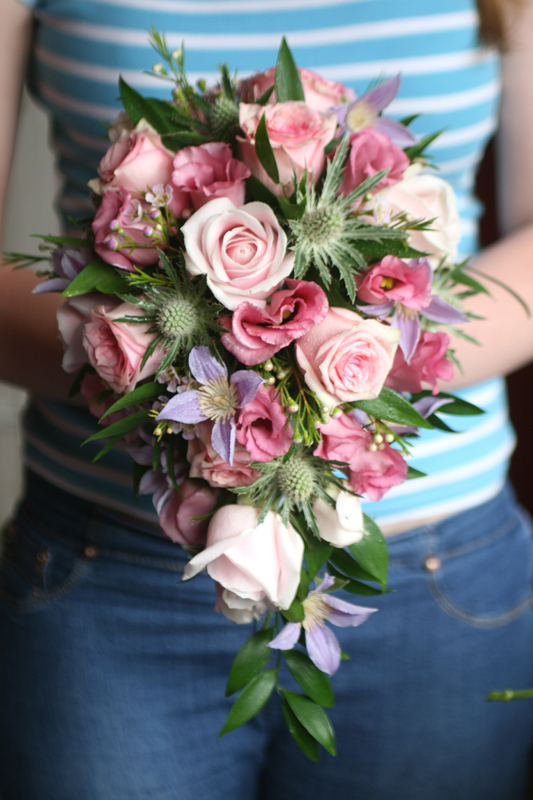 This is one of the bridesmaid bouquets which is a small teardrop style bouquet with roses, eustoma, clematis, thistles and waxflower.